In this tutorial, you will learn how to host a high traffic serverless WordPress website for a total of $13.16 yearly. That’s too good to be true, what’s the catch? It’s serverless static site, which means its setup might be complicated, WordPress Search function won’t work*, and there are a few extra steps you have to do before publishing a new post. *We will discuss an alternative search services in Step 6. Why should I go serverless then? Increased security: Everything is static, there are no worries about SQL injections, WordPress Vulnerabilities(Ex: Unserialization issue), Authentication Bypass flaws in bad plug-ins, etc. More affordable: Static web-hosting in general is cheaper than dynamic. There are great services like GitHub Pages, Netlify, and Surge that will give you a generous amount of bandwith for free! Speed: You can take advantage of caching all your content and serving through Cloud Flare, since you know everything is static anyway. If you follow this tutorial and use Netlify, there is no need for Cloudflare because JAMstack. We’ll use Netlify, WordPress, Uniform Server, and HTTrack, and NameCheap. Netlify will be our host. Uniform Server will be our local server. HTTrack will be our static site generator. NameCheap will be our domain register. You can skip the NameCheap step if you already have a domain name or want to use another domain register. We are going to downloading Uniform Server because it nicely packages PHP, MySQL, and Apache . I prefer Uniform Server over XAMPP and WampServer, but if you already have those local servers running you can use them instead. Open the executable called UniController.exe and start Apache and MySQL. Now, download WordPress and Extract it to the “www” sub-folder in UniServerZ directory. In the UniServer Zero XIII window, click MySQL->Database create-delete. Create a database name(Ex: WordPress). Now click MySQL->create restricted MySQL user. Give it a username,password, and point it to the database you created. Now go to localhost/wordpress/ in your browser and provide WordPress with the MySQL credentials you just created. Create Database, Create MySQL user, Setup WordPress. Step 2: Add themes, post, plugin, etc. I’m assuming you don’t need a guide on this part. When your pleased with your website move on to the next step. Customize your site to your liking! http://localhost/wordpress). Click Next and Finish. New HTTrack Project to Download WordPress. If you don’t have a GitHub or GitLab account sign up for one. I’m using GitHub. Create a new repository for your website. Install Git on your computer and configure your global user.name and user.email . Create a free GitHub account and New Repository. Go to localhost\wordpress folder that was created in step 2 and run the following commands in CMD. Create a Netlify Account using your Git account. Click, New Site from Git->GitHub->Your Git Repo(Step 4)->Deploy Site. Now, click Set up a custom domain. This is the step where you get out you wallet and spend around $8 to $15 per year for your custom domain name. 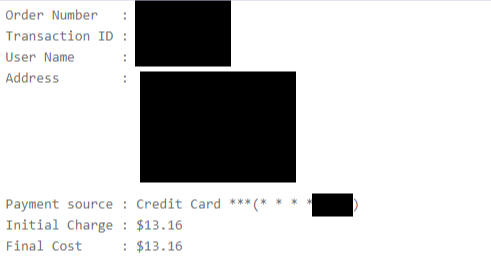 RonFoods.com cost me $13.16 to renew this year on NameCheap. Step 6 (Optional): Replacing WordPress Comments, Search, WooCommerce, and Tracking with alternatives. Since WordPress Comments, Search, WooCommerce rely on MySQL custom dynamic MySQL queries, we will have to find 3rd party solutions to replace these features. Fortunately, there are many 3rd parties that provide great products without a huge increase on load time all over GitHub. Below is a list of various APIs, services, and libraries to add to your static WordPress website. I’d argue this is the best search as a service(SaaS) you can get. Try Snipcart. I never used it. Personally, this is the only part I am not a fan of JAMstack philosophy on. Maybe, RonFoods.com will migrate to Snipcart someday. Automates the process, but I personally don’t want to pay $20/month for a custom domain. Maybe, you want to get rid of WordPress all together. There is certainly a rise in JAMstack believers and some awesome sites on Netlify that use Hugo, like our very own DroneIt website. **I’m not including the payment provider in the cost of the website because it’s a cost that comes from people buying products on our website. *** Has a 5 request/second limitation, so it’s a good idea to cache request. 1200 Rows per base, but you can have unlimited bases.